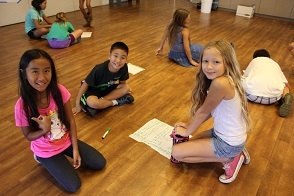 Honolulu Theatre for Youth (HTY) produces professional theatre and drama education programs that make a difference in the lives of young people, families and educators in the state of Hawai‘i. HTY believes that drama education and theatre are unique, socially-based education and art forms that help their participants and audiences walk in the shoes of others, allowing them to expand their imaginations, enrich their lives and discover the infinite possibilities in the world. HTY works towards a future for Hawai‘i in which people are culturally literate and imaginative, are critical thinkers and inventive problem solvers, with a respect for history and a sense of place in a complex world. Founded in 1955, HTY is one of the oldest and most respected children’s theatres in the country. HTY has served over five million people through school and family performances and drama education programs. Over 300 new plays for young audiences have been commissioned by HTY. HTY works primarily through the public and private school systems in the state. 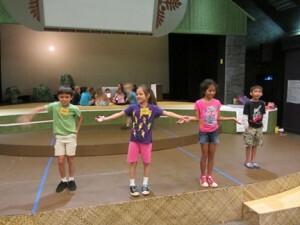 Over 70,000 school children on the six major islands of Hawai‘i see at least one HTY production a year. HTY reaches out to all children in the state regardless of race, economic condition or geographic location. HTY has taken leadership in seeking out and developing new work for young people. HTY produces adaptations of children’s literature or classics and work that draws from or that reflects on the cultures that make up modern Hawai‘i (primarily Pacific and Asian) – folklore, history or issues that impact local kids. Nearly one-third of HTY’s productions have been world premieres, and the percentage is increasing. Specifically, HTY produces six to seven productions yearly, each targeted to a specific age range (pre-K, grades K – 3, 4 – 6, 7 – 12). 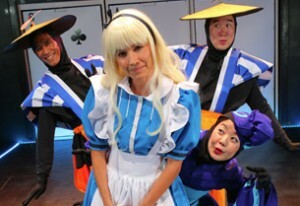 Four of the plays tours statewide. 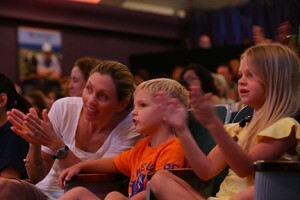 In many cases, HTY’s work is the only professional theatre that children see each year. HTY drama specialists provide direct services through drama residencies at schools, professional development for teachers and teaching artists who work with children, and classes for children of all ages. • Kennedy Center Partners in Education, offering professional development to teachers and teaching artists statewide. • Hawai‘i ARTSFIRST Partners, the only state mandated partnership of its kind in the nation, joining together the expertise and resources of the State Foundation on Culture and the Arts, Hawai‘i Alliance for Arts Education, University of Hawai‘i College of Arts and Humanities and College of Education, Hawai‘i Association of Independent Schools, State PTSA, HTY and the Maui Arts and Cultural Center to bring all of the arts to all of the children of Hawai‘i in a comprehensive manner. • Hawai‘i State Library System, which hosts HTY’s pre-school production at all 51 libraries throughout the state. • Oceanic Time Warner Cable, which provides free television ads in exchange for benefits to its OKC and My TV clubs. • Hawai‘i State Foundation on Culture and the Arts, with which HTY joins to produce Poetry Out Loud, an initiative of the NEA and the Poetry Foundation. At the beginning of the twenty-first century, HTY looks to the development of new work that speaks to the children and families of our community, of and about their experiences and concerns, in new and fresh ways that will make the American theatre richer and more inclusive of its multi-hued constituency.